We all like to save money off our bills where we can, but is saving a few pounds worth putting your family or home at risk? Surprisingly, up to a third of British householders are willing to trim a little off the price of hiring an electrician for the sake of saving some money. Going for the cheapest option may not always be the best decision because you may be hiring an unregistered electrician to carry out your work. Think about it for a moment. If you are feeling ill you wouldn’t want to see an unqualified doctor. If you had a toothache, you wouldn’t trust the health of your teeth to an unqualified dentist – so why would you trust the safety of your home to an unqualified electrician? When it comes to the electrical safety of your home, it certainly isn’t worth the risk of cutting corners just to shave a few pounds off your bill. This can actually cost you more money in the long run because you will probably end up having to spend out on an extra repair bill to fix the shoddy workmanship left by your cowboy electrician. Did you know that UK householders spend an average of £750 per home in repair bills to correct substandard electrical work. Is saving a few pounds off your original bill really worth it? Household electrical work is the most dangerous task undertaken in the home. This is why it makes sense to hire someone who is fully qualified and up to the job, otherwise you could be putting the safety of your family and home at risk. 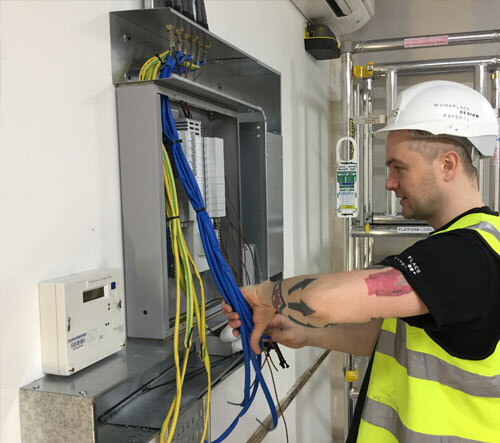 You will be pleased to know that at Bristone, our small and friendly team of experienced electricians are fully qualified to City and guilds level 2&3, NVQ level 3 and hold City and guilds level 3 inspection and testing. All of our team are members of JIB/ECS and have current and up to date JIB GOLD cards. We also are CRB checked and vetted. Our qualifications can be verified via the ECS website, so you can be reassured that your household electrical work is in safe hands with Bristone. We are happy to provide both residential and commercial services for new installs, repairs and upgrades. We offer a free on-site quotations, consultations and full CAD service. Our work is of high quality and workmanship – we invite you to view our work either through a site visit or from our highly detailed portfolios from our previous satisfied customers. Please do not hesitate to contact us today to discuss your electrical needs.